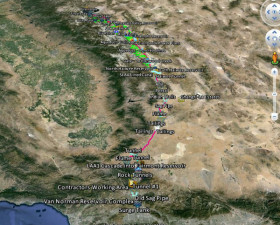 For those of you interested in seeing the Colorado River Aqueduct up close on Google Earth, download the Colorado River Aqueduct KML in the library on the right or click here to download it. To view it you must view it in GoogleEarth. This a pared down version of my more complete KML but it still has a lot of fun stuff to explore. The library now includes the LA Aqueduct, Hetch Hetchy, Sacramento Delta, and the State Water Project. Note: KML's are just XML text files and can be opened up with a text editor like Notepad. 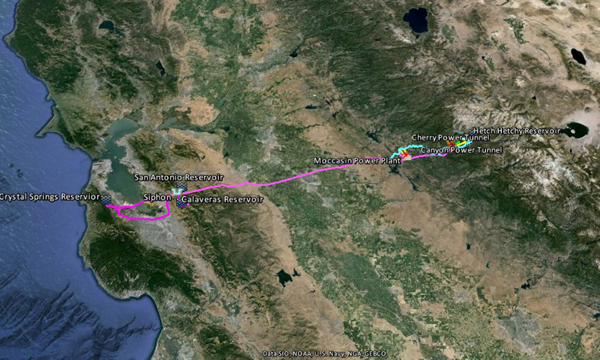 Google Earth has an interpreter built into it which renders the paths and icons on global space. For those of you interested in seeing the Hetch Hetchy Aqueduct up close on Google Earth. 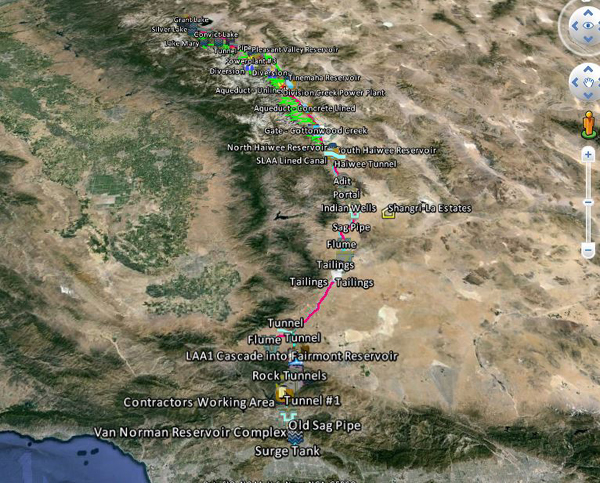 Download the Hetch Hetchy KML in the library on the right and open it in Google Earth. This a pared down version of my more complete KML but it still has a lot of stuff to explore. The library now includes the LA Aqueduct, Colorado River Aqueduct, State Water Project and Hetch Hetchy Aqueduct. For those of you interested in seeing the State Water Project up close on Google Earth. Download the State Water Project KML in the library on the right and open it in Google Earth. This a pared down version of my more complete KML but it still has a lot of stuff to explore. 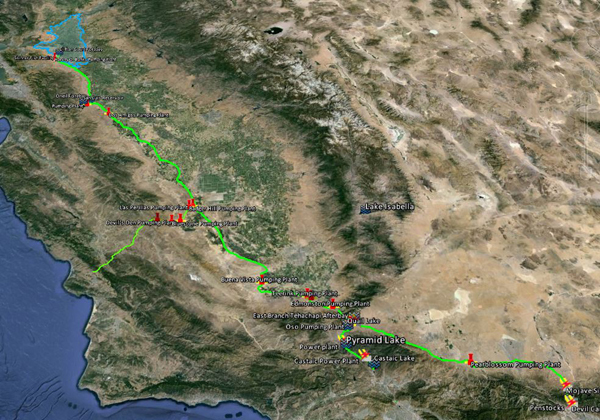 The library now includes the LA Aqueduct, Colorado River Aqueduct and the State Water Project.